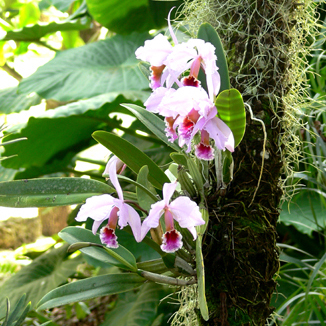 Phalaenopsis, Cambria, Oncidium, since more than 75 million years, orchids almost colonized all the areas of our planet. Rooted in the ground (terrestrial), hung on on the trees (epiphytic) or on rocks (épilithic) their preservation requires to recreate at best the conditions of their original environment. Specialized since 1997 in the development and the sale of products for the plants of ornament and collection, we collected here those that, in a simple and esthetic way, help you in their culture.